For this casual, summery look, you can use locally-sourced materials for an eco-friendly touch. The dual pergola-porch area is paved with gray stones. Stone steps add an intriguing, warm color contrast. 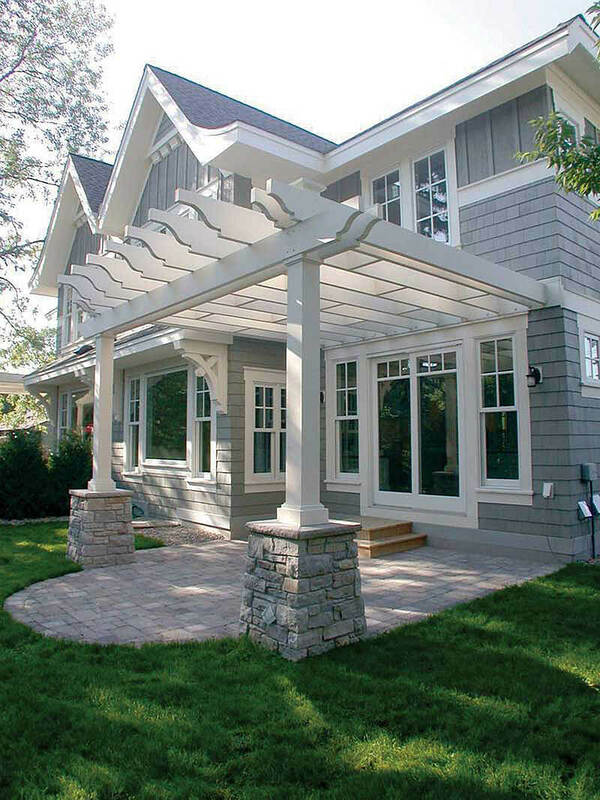 The white, wooden roof of the pergola extends out from the house to two pillars that combine wood and gray stone to unify the look.